One person was transported to a hospital after a commuter train struck a vehicle on the tracks Monday night in Palo Alto. Caltrain reported via social media that the strike occurred at the Meadow Drive crossing just before 6:15 p.m. 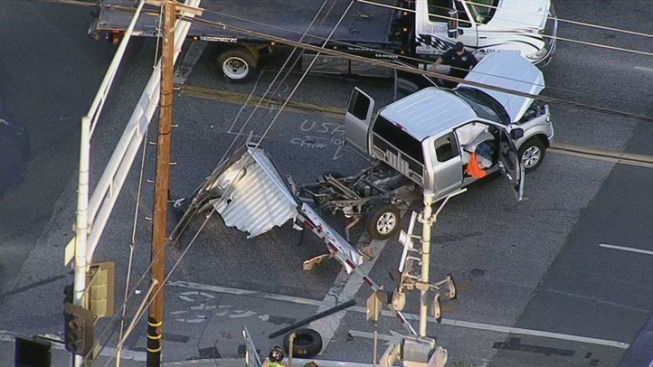 The person inside the truck was transported by ambulance, according to Caltrain and transit police. Passengers headed in both directions can expect delays.